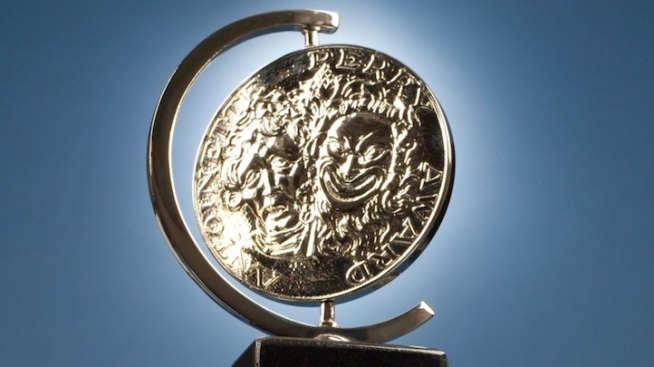 The 68th Annual Tony Awards will honor Broadway's best on June 8. Broadway’s biggest night is just around the corner, and to prepare, NBC New York theater writers Robert Kahn and Dave Quinn sat down to dissect the top categories. Who are the safe bets, and which dark horses just might surprise in the end? Read on to find out, and then tune into see who wins at the 68th Annual Tony Awards, Sunday at 8 p.m. on CBS. Rob: I’d be thrilled to see this statue go to “Casa Valentina” or “Mothers & Sons.” Harvey Fierstein’s drama about heterosexual men who meet in the Catskills to live as women, and Terrence McNally’s sorrowful one-actor centered on a bitter mother were both groundbreaking in their own right. But count on Robert Schenkkan’s three-hour LBJ historical drama -- which has already been awarded top honors by the Outer Critics Circle, the New York Drama Critics Circle, the Drama League and the Drama Desks -- to notch a campaign win, warranted or not, on the coattails of charismatic star Bryan Cranston. Dave: “A Gentleman’s Guide to Love and Murder” is the most Tony-nominated show this year (with 10 nominations), and has been awarded top honors by the Outer Critics Circle, the Drama League and the Drama Desks. In a category that’s been said to be without a front-runner, it would be a huge surprise if “Gentleman’s Guide” didn’t win. But if there was one, it’d come from “Beautiful,” which elevated the jukebox musical form by focusing on character rather than just hit songs. Rob: Though it closed months ago, John Tiffany’s moody revival of the Tennessee Williams classic still lingers in my mind, thanks to Cherry Jones, Celia Keenan-Bolger and, most notably, Zachary Quinto, who offered a stunningly relatable Tom Wingfield. “Menagerie” deserves to win -- and if it does, it will be the first ever Tony honor for the Tennessee Williams classic. But the Globe’s old-school, all-male “Twelfth Night,” with Mark Rylance as a mincing and lovestruck Countess Olivia, will take the award, for its sheer brashness. Rob: Cranston nabs this trophy, deservedly so. The tireless TV star is on stage for virtually all of Schenkkan’s play, and manages to make a pretty dry story hum with electricity. The only thing surprising about the excellent performance by the “Breaking Bad” star (pictured below, with fellow trophy-owner-in-waiting Neil Patrick Harris, at a pre-awards cocktail party this month) is that it’s his Broadway debut. Dave: Audra McDonald disappeared into the role of jazz singer Billie Holiday, in a transformative performance unlike anything we’ve ever seen from her. She’ll win her sixth Tony, and break records as the first actress ever to win in all four Tony acting categories. Bow down. Rob: You know how people like to say Al Pacino won an Oscar for “Scent of a Woman,” but his statue that year was really in recognition of his service to cinema over his entire career? Well, this isn’t like that. Twitter’s own ActuallyNPH, the four-time Tony host Harris, would have a statue coming to him if he leaned against a wall and popped bubblegum for 95 minutes—but instead he goes out and earns it every night as Mitchell’s transgendered rock singer lost in Kansas. I hope CBS budgets a long 30 seconds for applause after his name is called. Dave: There’s a lot of love out there for Kelli O’Hara. The five-time Tony nominee has never won, and gave the best performance of her career in the heartbreaking “The Bridges of Madison County.” She should take the top prize this year -- but the fact that “Bridges” shuttered prematurely due to a slow box office might mean that many voters didn’t get to see her performance. I’d bet on recent Drama Desk winner Jessie Mueller, whose spunky, soulful take on Carole King gives “Beautiful” its heart.